Since 1996, Los Hermanos Auto Shop has been your family owned and operated auto repair specialist. 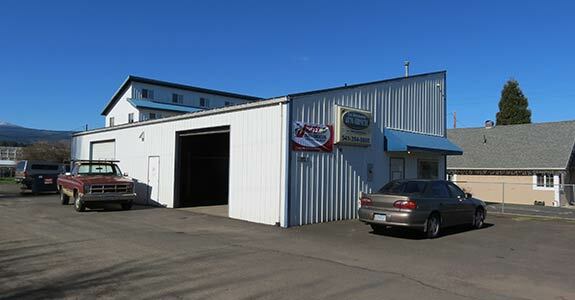 We provide quality auto repair services in Hood River, OR and the surrounding areas. Call or come by today to learn what we can do for you. Whether you get in an accident, your brakes suddenly start squeaking every time you use them you or you can’t figure out why that check engine light won’t shut off, you need a mechanic in Hood River, OR that knows what they’re doing and will be able to effectively communicate with you and resolve your car’s problem. For nearly 20 years, Los Hermanos Auto Shop has been providing those key services to drivers in Hood River, OR and the surrounding areas. Los Hermanos Auto Shop is a small, family owned and operated business, but we perform auto repair in Hood River, OR that can rival that of any big auto shop. Plus, we have the personal touch that you won’t find just anywhere. operated business in Hood River, OR. We have nearly 20 years of experience in auto repair. We offer a wide range of repair services and more. We are fully insured and ASE-certified. Our prices are always fair and honest. February 16, 2017 Ryan R.
"These guys are the best mechanics in the gorge hands down! Always reasonable prices and honest about what's really wrong with your car and w..."
May 8, 2016 Kaity W.
"The workers of Los Hermanos are amazing. I've been taking my vehicles here for years. They are always quick and extremely well priced. They ..."
March 2, 2016 Pilli G.
"I was driving through and had car problems. I called these guys to see if they had time to check my truck. They were very friendly upon arri..."
For excellent auto repair, tune-ups, oil changes and more in Hood River, OR, you can always trust Los Hermanos Auto Shop.